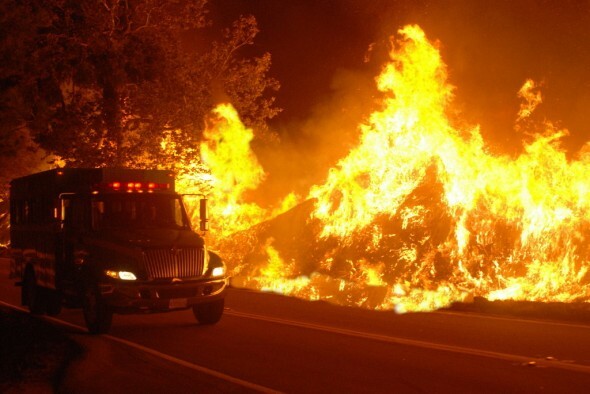 Pushing in three directions, a massive wildfire in hills near Los Angeles doubled in size to 85,000 acres (about 34,425 hectares) overnight, authorities said on Monday. The Station Fire, which has destroyed 21 homes and killed two firefighters, is threatening 12,500 homes, forcing thousands of residents to flee. While the fire spreads, more homes will be burned, officials said. Authorities put 6,600 residents under mandatory evacuation orders Sunday night. Firefighters prepared for another long, hot day, putting significant resources on the northern edge of the fire near the town of Acton. Two firefighters were killed when the car they were in ran off the side of a treacherous road in the Mt. Gleason area, south of Acton, Sunday afternoon, said LACFD Chief Mike Bryant. The fire was only five-percent contained and full containment was not expected until Sept. 8, officials said. More than 2,800 fire personnel from around the state have converged to battle the Station Fire, along with 12 helicopters and eight air tankers. Meteorologists predicted that hot, dry conditions would continue without relent until at least Tuesday. Meanwhile, the Southern California Coast Air Quality Management District (AQMD) reported that smoke and ash from the fire caused unhealthy to hazardous air quality in the San Gabriel Mountains and the west San Gabriel Valley. “Very high concentrations of fine particulates are occurring in areas of direct smoke,” according to an AQMD statement. The AQMD advised residents in smoke-affected areas to avoid vigorous outdoor or indoor activity. 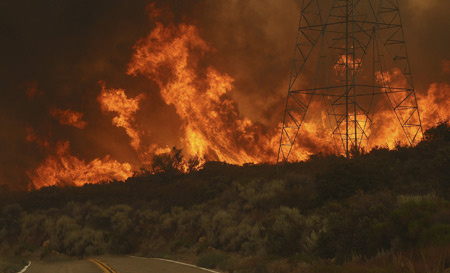 The fire, which broke out Wednesday afternoon, was the largest of many burning around California. The cause of fire was still under investigation. 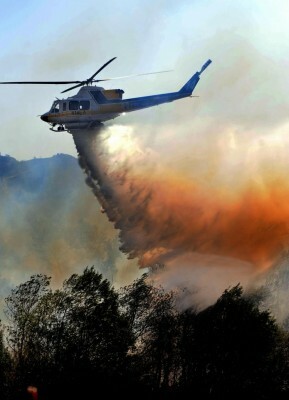 Sept. 3 — The wildfire that has wrecked havoc on the Angeles National Forest in Northern Los Angeles was caused by arson, authorities announced on Thursday. “After a forensic examination of the point of origin of the Station Fire, arson investigations from the Los Angeles County Sheriff’s Department arson/explosives detail, United States Forest Service and Los Angeles County Fire Department have concluded the Station Fire was the result of an act of arson,” according to a statement by the Los Angeles Sheriff’s Department (LASD). A “crime scene” area cordoned off with yellow tape has been established near the fire’s suspected point of origin north of La Canada Flintridge in Northern Los Angeles, according to the statement. Authorities have launched a homicide investigation. But despite concluding that the fire was arson, fire and sheriff’s officials did not immediately say exactly how the fire was started. Since its breakout last Wednesday, the Station Fire has claimed the lives of two firefighters, burned 226 square miles (about 362 square kilometers) and destroyed about 140 structures, including 64 homes and three commercial buildings. It has cost more than 27 million dollars to battle. An estimated 10,020 homes and 500 commercial buildings remain threatened. Mike Dietrich, the Station Fire incident commander, said fire crews made excellent progress battling the blaze on Thursday. He noted, however, that six firefighters had to be hospitalized earlier in the day when they were exposed to some sort of hazardous material while conducting mop-up operations on the northeast corner of the fire. But they were not seriously injured and were recovering, Dietrich said. 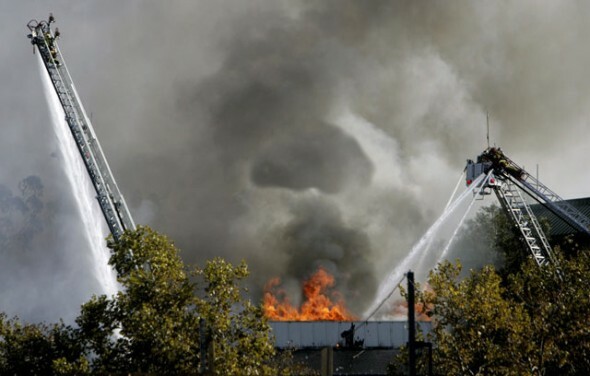 Other than the six firefighters who were hospitalized on Thursday, seven other people were injured earlier in the blaze. “I want to say that firefighting conditions are still very treacherous out there, with firefighters being exposed to steep terrain, rolling rocks and hazardous materials,” Dietrich said. He said the heavy smoke looming above the fire grounded many of the water-dropping airplanes and helicopters from battling the fire. “But the good news is that the smoke inhibited fire behavior, so the fire was essentially held down by the smoke in the area,” he said. The weather is expected to remain relatively unchanged for the next several days, Dietrich added. The Forest Service said 4,735 firefighters, including 107 hand crews, are deployed in battling the fire, along with 11 air tankers, 12 helitankers, seven helicopters, 433 fire engines and 60 bulldozers. The threat to Mount Wilson, home to an historic observatory and communications tower used by the bulk of Southern California television and radio stations, has diminished, according to fire commanders. 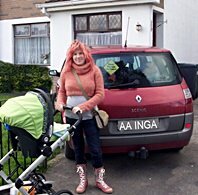 Previous Previous post: A German life in Nanjing. Next Next post: But for a game, the Beatles..